While many of us remember our childhood days as spent playing outdoors, come rain or shine, children today are not always so lucky. Yet we are all aware that under-fives need that fresh air and exercise to help them learn and grow, just as much as we did. 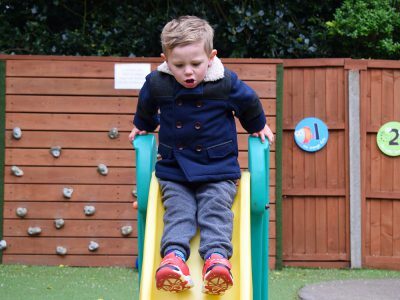 But look how lucky we are at Bambini Nursery, not only do we have a wing of the beautiful, Grade II listed Ewell Court House to play in, our building is also set in extensive parkland, perfect for outdoor adventures! And what’s more, we have a private garden too. 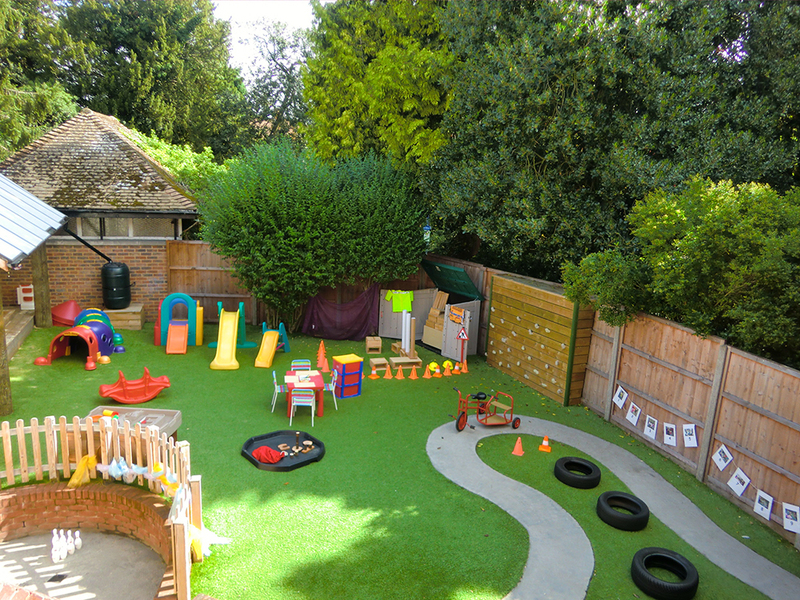 At Bambini Nursery, we make sure every child spends plenty of time outside. All our children are individual people and we encourage each and every one of them to enjoy the outdoors, teaching them to love and respect nature along the way. There’s no standing around for practitioners either; we play too, following their lead. 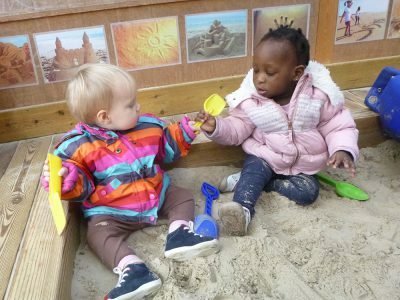 We join in every activity, responding to them from babies to school age, confirming that we love being outside too. And above all, watch with glittering eyes the whole world around you, because the greatest secrets are always hidden in the most unlikely places. Those who don’t believe in magic will never find it. Adventures outside, whatever the weather. 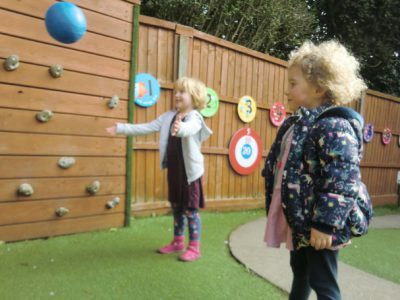 At Bambini Nursery, children regularly go to the park in which our setting is located and participate in a range of activities, no matter what their age. 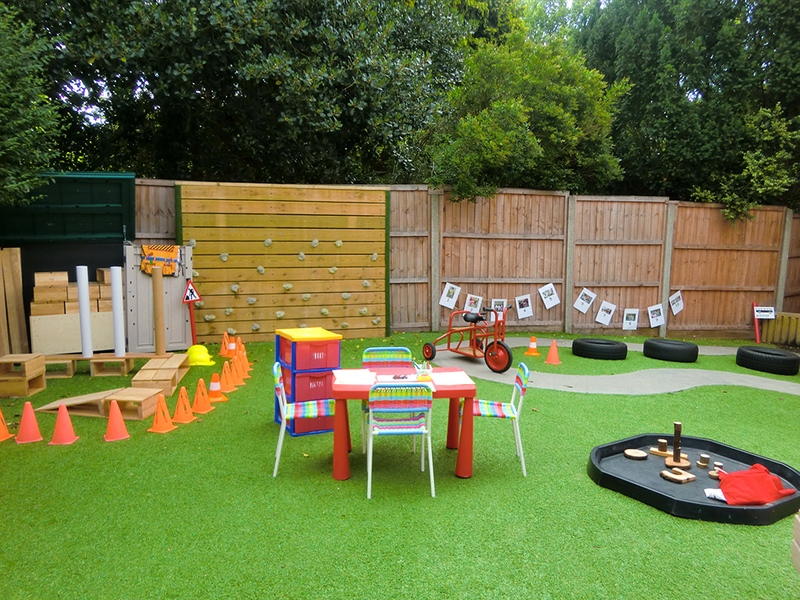 With their safety and well-being assured by our dedicated staff, the children participate in structured and free activities here that develop every aspect of their lives. 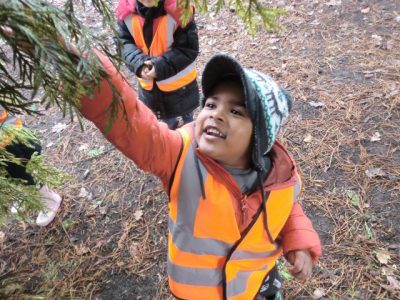 Learning outside in large, open spaces, Bambini children develop an inquisitive and positive relationship with the natural world. 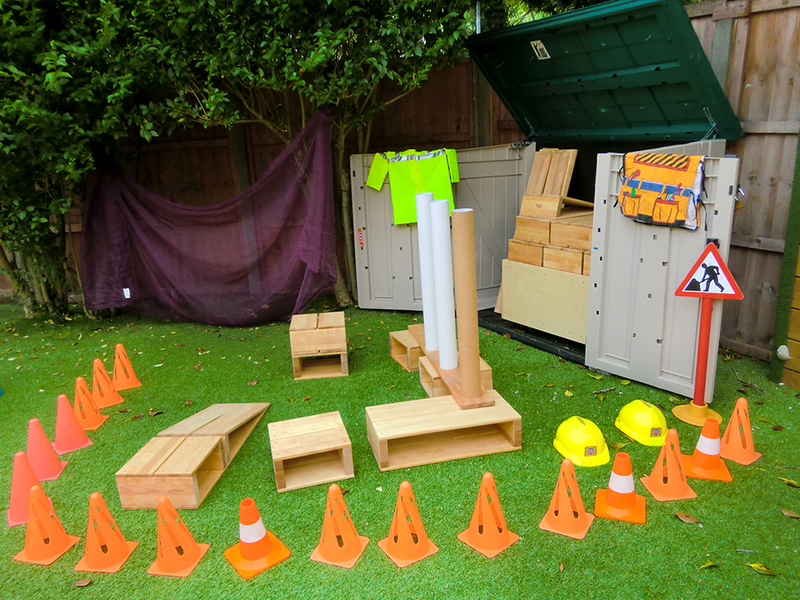 Actively encouraged by our practitioners, children’s physical, imaginative and creative development blossoms. Through these experiences, confidence and respect for nature increase, allowing every child to boost their self- esteem. Imagination is the only limit as children are encouraged to play, create, stretch themselves physically and later, reflect. Ewell Court House Park has many interesting tree and plant species as well as a large ornamental lake, open space, a stream and a playground. 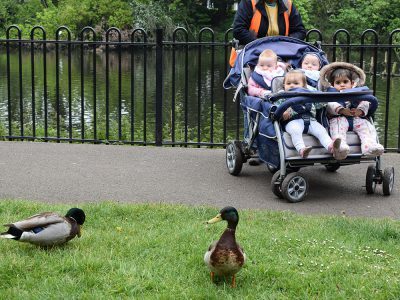 We adore exploring it on our big adventures, feeling the breeze, sensing the seasons, meeting the ducks and squirrels, running, dancing and finding the magic. 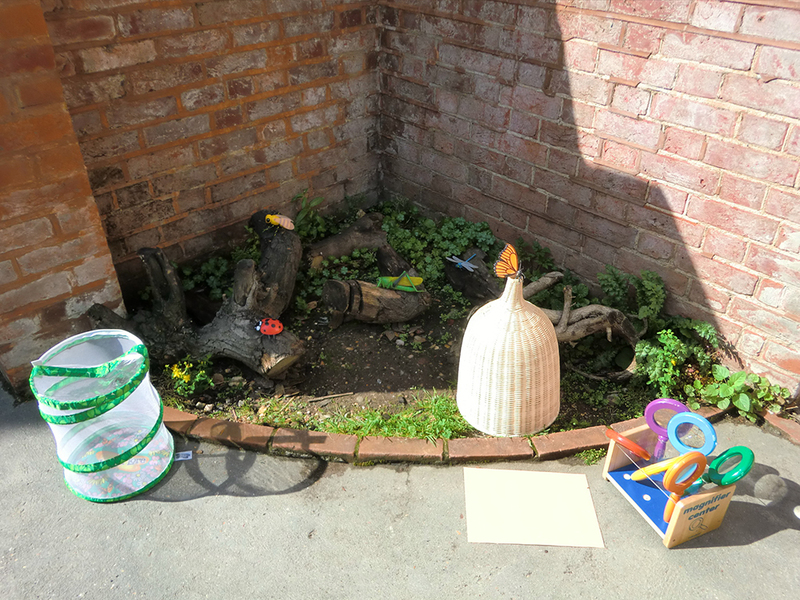 Bambini Nursery children are out every day in our private garden, in all weathers. As they say in Sweden, ‘There is no such thing as bad weather, only bad clothing’. 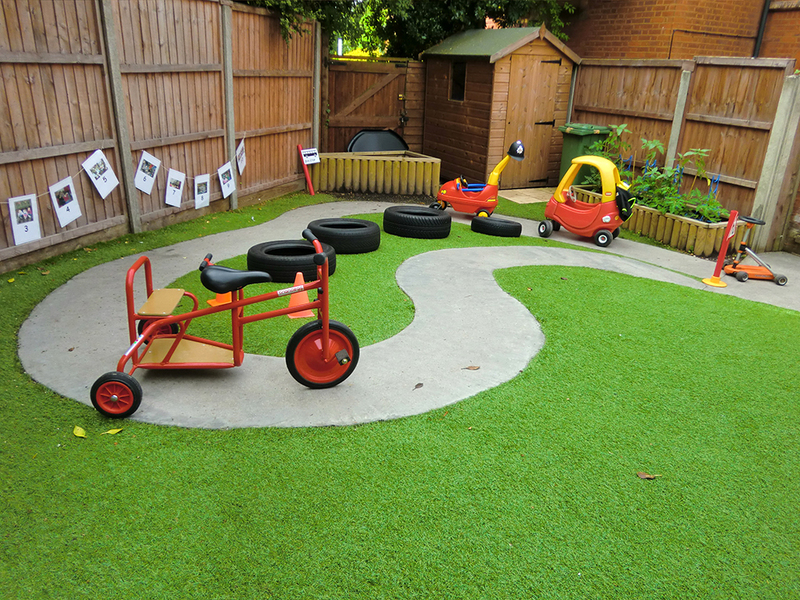 Our garden is safe and secure, custom designed for the under-fives and jam packed full of things to do and learn about. 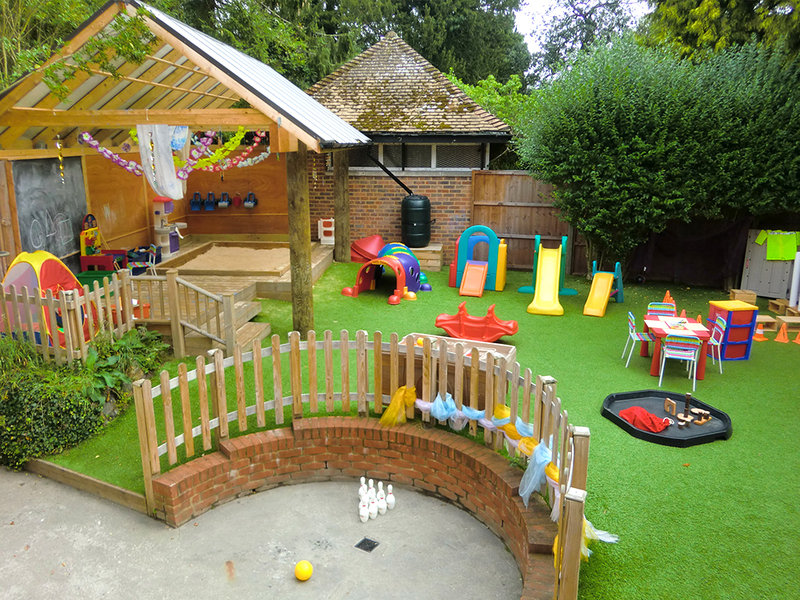 It’s a fabulous enclosed space where we can all relax and play freely together, achieving our targets in our EYFS development. Come and Visit our Garden!